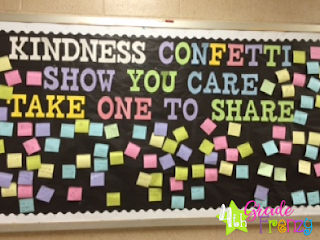 All month long students would grab sticky notes to give away, but the board was always full because more sticky notes were added. 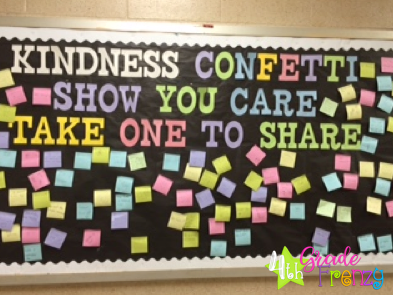 This board was a fun way to encourage kindness! 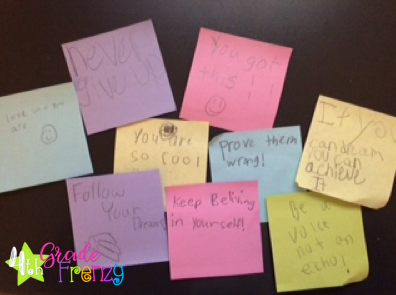 My heartwarming surprise was when students would take messages to give to me and other teachers. How sweet is that? !